Casa Kiwi Hostel is happy to offer: a roof-top terrace at tree-canopy height with great views and a plunge pool, an open-air hammock area, another terrace on the 1st floor with bar service and a park with a creek across the street, a mini-theatre with a big-screen HDTV and satellite reception, free use of 4 flat-screen computers with high-speed internet, free WI-FI, a large kitchen, and last but not least a pool-table lounge where you can listen to varied world-music and where we showcase local live music every Friday night. There is also a mini market across the street and tons of bars, clubs and restaurants very close to the hostel. Hopefully we'll see you here soon! Address: Carrera 36 Numero 7-10. (1) A taxi costs about $12.000 COP. Tell the driver to go to Parque Lleras and then to take Calle 7 up to the hostel. All taxi drivers in Medellin must use the Taxi Meter, so make sure they turn it on when you get into the taxi. (2) By Metro/Bus combination. In the Metro Station by the Terminal Norte, buy a Poblado Integrado ticket: one ticket for the Metro and another for a Metro Bus. Take the Metro south to the El Poblado Metro Station. Once there, catch a bus that says Metro. Get off at Dominoes Pizza on Carrera 36. 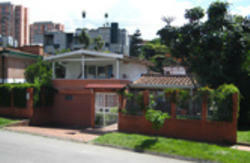 Walk down Carrera 36 to Calle 7 and you will see Casa Kiwi Hostel on the left. (1) A taxi costs about $6.000 COP. Tell the driver to go to Parque Lleras and then to take Calle 7 up to the hostel. All taxi drivers in Medellin must use the Taxi Meter, so make sure they turn it on when you get into the taxi. (1) There are safe, reliable taxies at the exit of the airport that charge a set rate of $60.000 COP. 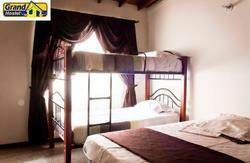 Just give them the address of the hostel, and tell them that it is a few block from Parque Lleras in El Poblado. Also ask the price before you get into the taxi to make sure they won't overcharge. $60.000 is the official rate for 2013. 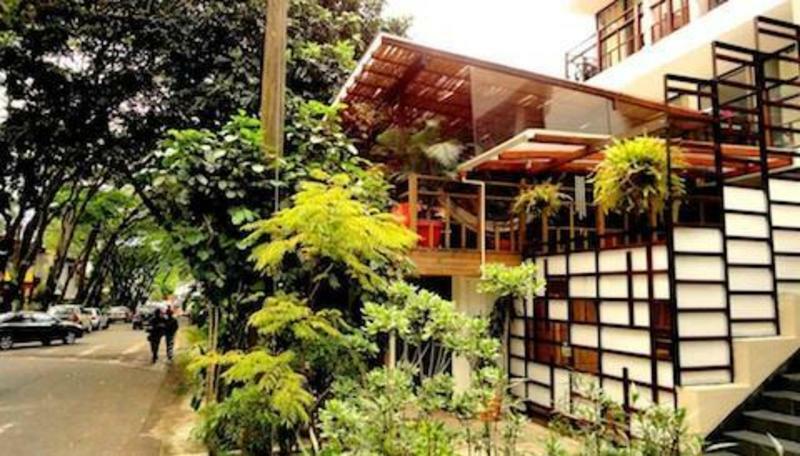 (2) You can also take a shuttle (colectivo) from the airport to downtown Medellin. From there a taxi to Casa Kiwi is about $8.000 COP. If you ever have a problem with a taxi driver's price, please ask for assistance in the reception when you arrive at Casa Kiwi so we can help straighten things out. Thank!